Today, healthcare organizations handling voluminous amount of data are looking for ways to switch to a paperless environment to optimize cost, storage space, and time involved while retrieving the right clinical information on a daily basis. Document Management solutions (DMS) have been key for healthcare as they offer easily accessible resource and repository for managing enormous healthcare data, patient records, and images spread out across organizations. For many healthcare organizations, long-term retention of electronic documents is of utmost importance—not only for business processes, but also for meeting compliance mandates. Since misplaced patient record, chart, forms, or lab result can delay care when it is requisite, healthcare organizations are looking to automate their document-driven processes by capturing all the data related to healthcare delivery, patient care, and financial information and storing it in the cloud. This strategy is transforming the healthcare delivery as practitioners can have secure access to accurate and actionable information and are able to route the data to the point of care in a secure and auditable manner. Modern DMS is streamlining the streamlining clinical workflow while eliminating the cumbersome manual processes and inadvertent human errors. In this diverse ecosystem, practitioners, clinicians, and healthcare payers and providers are looking for solutions that help them in augmenting the efficiency of the healthcare processes and workflow. In the last few months, we have looked at scores of DMS vendors and shortlisted the ones that are at the forefront of tackling challenges. 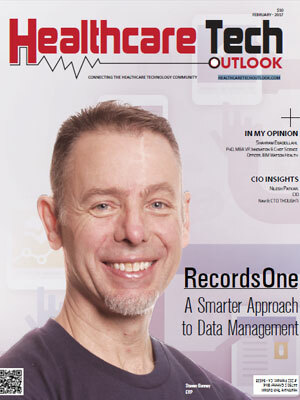 To simplify and help CIOs navigate the DMS solution landscape, Healthcare Tech Outlook has come up with special edition, where a distinguished panel comprising of CEOs, CIOs, VCs, analysts including Healthcare Tech Outlook’s editorial board has decided the ‘10 Most Promising Document Management Solution Providers 2017’ in the U.S.